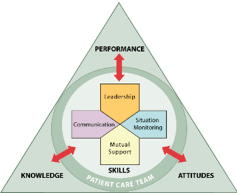 Today’s EMS and healthcare environment, organizations are in constant need of leaders to navigate the complexities of EMS and operational competency management, tactics, strategies, regulatory compliance, and development of the future of service delivery. Designed for emergency medical services, rescue, and healthcare professionals; the program is built upon the NHTSA Leadership Guide to Quality Improvement for Emergency Medical Services (EMS) Systems, the National Center for Healthcare Leadership objectives, Agency for Healthcare Research & Quality TeamSTEPPs objectives, National MEMS Academy (SGAUS) objectives, and the Emergency Management Institute Leadership and Influence course objectives. The 100 hour online program provides the knowledge and skills to those interested in functioning as a leader-manager within an EMS, rescue, or healthcare service. Explore the basis of delivery systems, risk management and safety initiatives, legal and regulatory requirements, quality management, medical direction, research principles, and community risk reduction. Develop a multipoint process or leadership and management strategies as applied to the rapidly changing world of service provision. Courses are taught by experienced EMS professionals who are experts in their field. Each class features relevant coursework that can be applied to your life and roles. Every one of our graduates exits the program having learned advanced skills, performed advanced skills, and managed critically ill patients within immersive simulation; few programs can attest to the student experiencing the range experiences and skills you will have in the Introduction to Critical Care.